Pixalate this week released its Q1 2018 Ads.txt Trends Report. 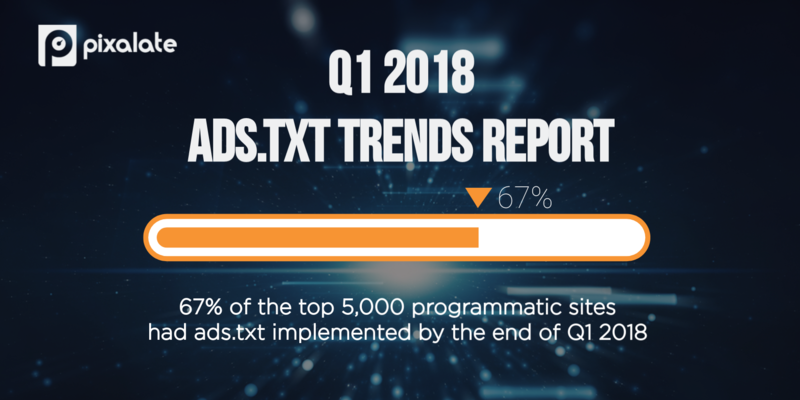 The report features data and insights collected by Pixalate detailing the state of ads.txt adoption over the first quarter of 2018. 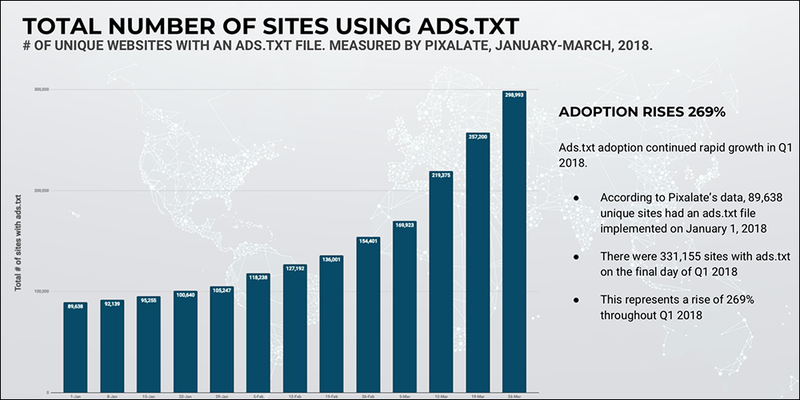 According to Pixalate's data, ads.txt adoption increased 269% in Q1 2018, rising from fewer than 100,000 total sites with ads.txt on January 1, 2018 to over 300,000 sites with ads.txt by March 31, 2018. Pixalate has posted weekly ads.txt updates via its blog throughout Q1 2018, and has made available for download a list containing all publishers who have an ads.txt file, as observed by Pixalate. This list is updated weekly.